WEST Lake Garden Chinese Restaurant at Sunway Hotel Resort and Spa is offering four Chinese New Year set menus, comprising nine courses each. The mysticism of Chinese New Year is reflected in the ingredients used in the dishes, which are full of symbolism. 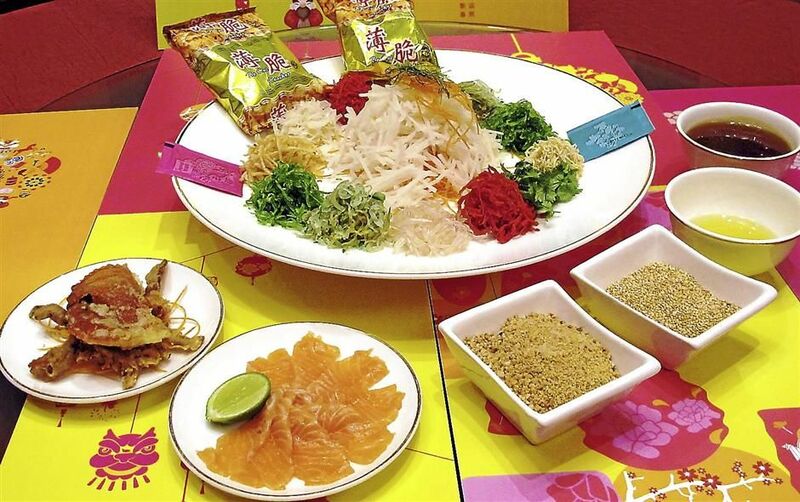 Undoubtedly, the first dish on any menu for the season, the customary yee sang, plays a fundamental part – symbolising the wishes and hopes for the New Year when tossed. The Eight Treasure Stewed Duck with ‘Hua Juan’ signifies fertility. The restaurant’s Salmon and Soft Shell Crab Yee Sang is a Teochew-style raw fish salad with a crunch doused in peach jam, fresh apple and pineapple juice and plum signature sauce. Chef Chai Kam Loi, better known as chef Roy, who began at West Lake Garden in 2001, specialises in Chinese cuisine. A tantalising dish, the Eight Treasure Stewed Duck with Hua Juan with a hint of Chinese rice wine, signifies fertility. “The mantou is widely known in Northern China and is called Hua Juan because of its flower-petal shape,” said chef Roy, who is from Ipoh. Savour the Stewed Egg Noodles with Chicken Julienne and Shredded Clams for longevity and fertility. The aromatic duck comes with a stuffing of mushrooms, dried shrimp, water chestnut, glutinous rice and chicken cha siew that spills out from the tender meat. The delightful handmade Chinese New Year nian gao, a traditional sticky golden dessert representing prosperity, ends the meal perfectly. A delicious selection of six alternative, not-so traditional yee sang are also available for dine-in or takeaway. 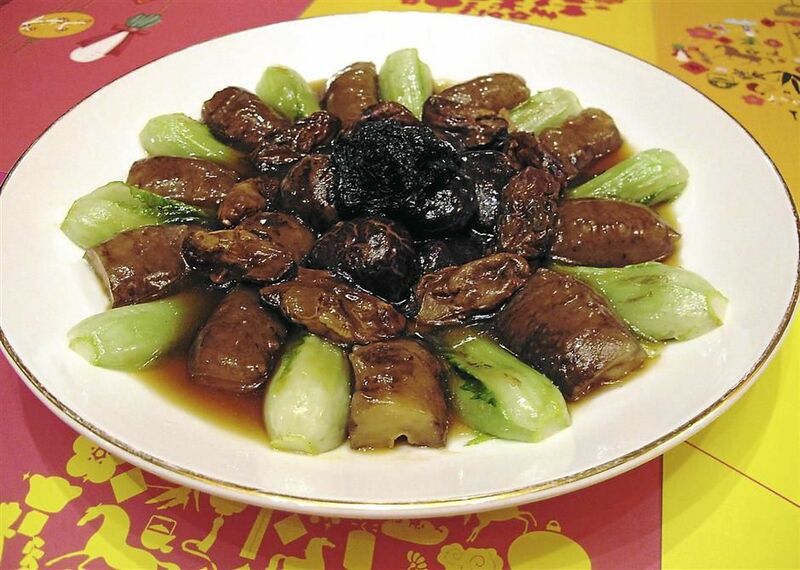 Sea Cucumber Braised with Dried Oyster and Black Moss is deemed an auspicious dish to usher in the New Year. Each set menu includes typical Chinese New Year dishes as well as the restaurant’s signature dishes such as crunchy, creamy Wok Fried Prawn with Curry Leaf and Butter and Chicken Floss. The promotion, which is on for lunch and dinner until Feb 14, is priced from RM1,288++ to RM2,288++ for 10 persons.